Swansea born, Huw gained his Bachelor of Music Honours degree at University College, Cardiff. Whilst there he studied piano with Stephen Price, voice with Clifford Bunford, organ with Robert Court and composition with Dr Richard Elfyn Jones. During his time at University he became a member of the National Youth Choir of Wales and was also accompanist to numerous choirs in the Cardiff area. 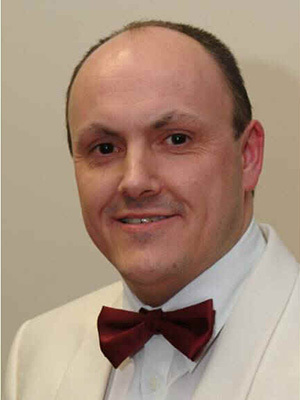 Huw has been associated with Morriston RFC Male Choir since 1990 when he became the Choir’s accompanist. He was appointed its Musical Director in January 2004 and his expertise in that role has been widely recognised. In 2005 Huw was made a Life Member of the Morriston RFC Male Choir and in 2015 a presentation was made to him in recognition of his 25 years service as its Musical Director and Accompanist. In January 2009 he was delighted to be appointed Joint Accompanist to Dunvant Male Choir. Huw regularly accompanies Parti Llwchwr, and accompanied them on the S4C’s Noson Lawen programme and the Côr Cymru Ladies Choir competition, where they won the viewers’ prize. He is a very talented and much sought-after musician and has performed and worked with a number of national and international artistes. Recently he has had the pleasure of working with Bryn Terfel, Rebecca Evans, Rhys Meirion, Wynne Evans, Sophie Evans, Gwawr Edwards, Ellen Williams, Elgan Llyr & The Three Welsh Tenors. Demands for his accompanying skills have taken him to concert venues throughout Britain. Further afield he has accompanied choirs and guest soloists in Brussels, Budapest, Holland, France, Spain, and Ireland. Huw was the official accompanist to the massed mixed choirs festival held at St. David’s Hall, Cardiff in 1992, 1996 and 1999, and he has made numerous recordings with various choirs and has played at many venues, including The Royal Albert Hall, St David’s Hall, The Brangwyn Hall, Wells Cathedral, St David’s Cathedral, and Rugby and Eton Schools. Huw is an official accompanist at the Urdd National Eisteddfod and has accompanied competitors at the Eisteddfodau since 1993. This year he will accompany competitors at the Urdd eisteddfod which will be held at the end of May at the Wales Millennium Centre, Cardiff. In 2018 he was the Vice Chair of the Urdd’s Music Committee. He is in great demand as an Eisteddfod adjudicator and as a conductor of singing festivals. Huw has appeared several times on S4C’s ‘Dechrau Canu, Dechrau Canmol series, conducting and accompanying the congregational singing and was honoured to work with Owain Arwel Hughes last year in a recording of this popular programme in Neath. In 2006 Huw was given the honour of conducting the massed male voice choirs at the opening concert of the National Eisteddfod held at Swansea. In 2012 he conducted his published arrangement of “This Is The Moment” at the 1,000 Voices Festival of Male Voice Choirs held at the MEN Arena Manchester. In the Summer of the same year Huw was given the honour of conducting the massed performers at the Interceltique Festival in Lorient, Brittany. In 2015 Huw and the Choir had the honour of working with Britain’s Got Talent stars Richard & Adam, Julian Reynolds and the Latvian Opera Orchestra to produce the CD “Believe, Songs of Inspiration” which shot to Number 1 in the Classical Album Charts. Huw has been associated with the choir for 29 years and feels very privileged to conduct such a wonderful choir in the sharing of his passion for this wonderful Welsh tradition.